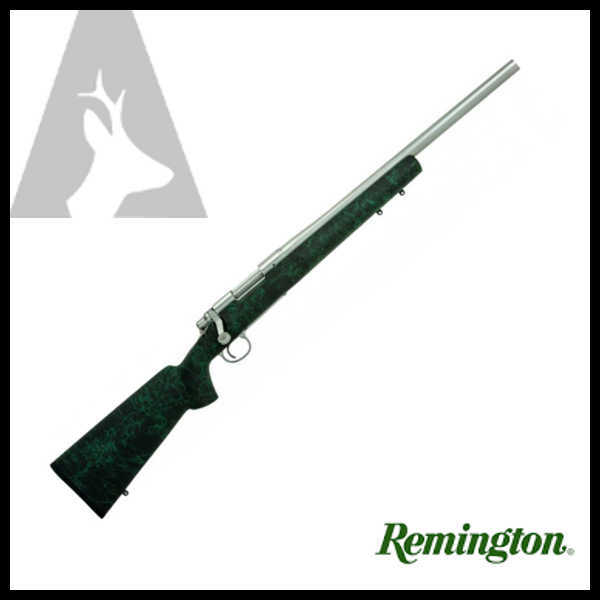 Built off the legendary 700 action, the Remington 700 5-R sets the benchmark for accuracy and durability. Much like M-24, the barrel is cold hammer forged and features 5-R rifling. The 5R rifling profile increases barrel life expectancy, accuracy and creates less fouling and bullet deformation over time. Whether you’re a benchrest shooter or longtime hunter, look no further for better reliability and precision. 5-R rifling is the same type of rifling used on the battle proven M-24 SWS. There are 5 lands as opposed to the normal 6 land configuration. Traditional lands are squared off at a 90 degree angle to the groove while the lands on 5-R rifling are tapered at 110 degrees which results in less bullet deformation. Also, none of the lands are directly across from one another. Both of these features lead to better accuracy and less fouling.